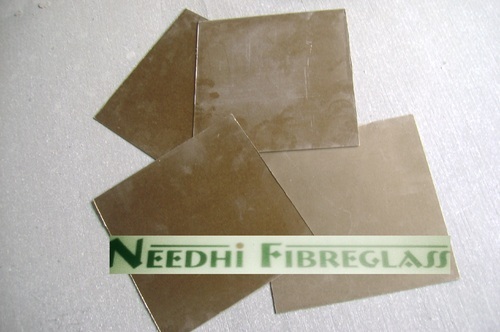 Our company is highly acclaimed in offering a wide range of Mica Sheets. Mica Sheets are of Two Types Green/Ruby Mica Sheets and Silicon Coated Mica Sheets. 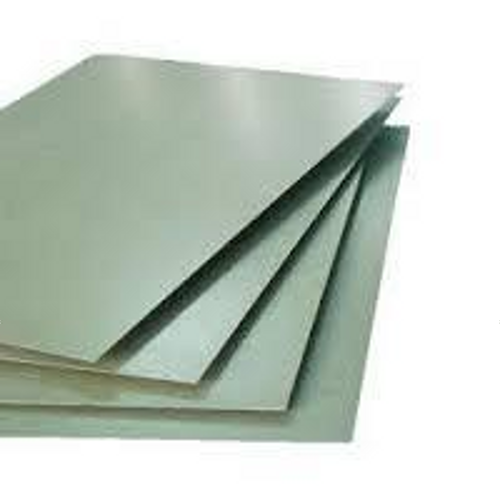 Properties Electrical Grade Mica Sheets are available & are best electrical Insulating material. 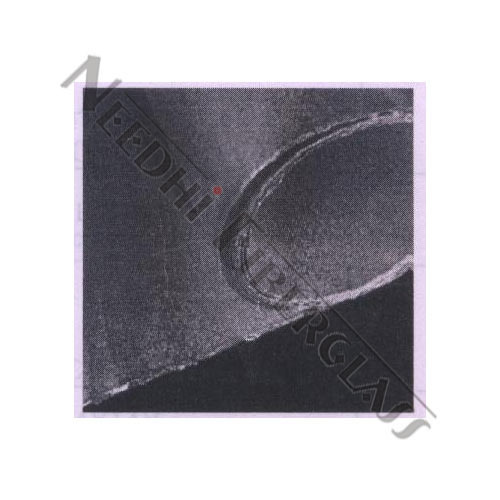 The Half Round Mica is used for Top & Bottom of Induction Furnace and Silicon Coated Mica Sheets are used for Precision work having High dimensional accuracy. Application For Thermal, Electrical Insulation. 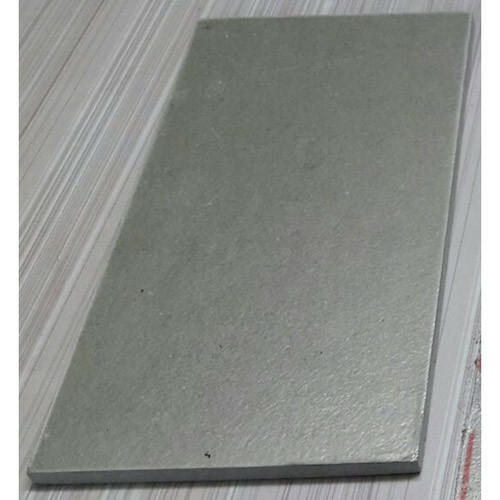 This is a strong rigid sheet material made by combining Muscovite Mica paper or Phlogopite Mica paper with a Silicon resin binder (Inorganic) under specific heat and pressure. 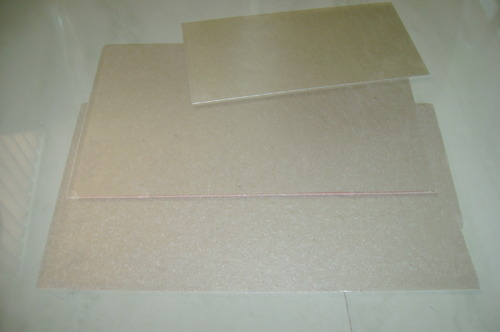 Mica Sheets are of Two Types. Half Round Mica are used for Top & Bottom of Induction Furnace. 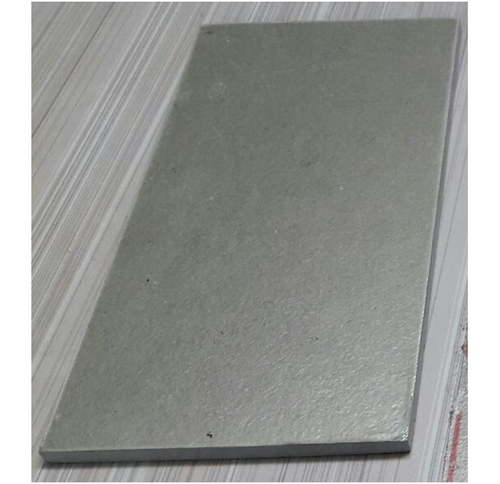 Silicon Coated Mica Sheets are used for Precision work having High dimensional accuracy. 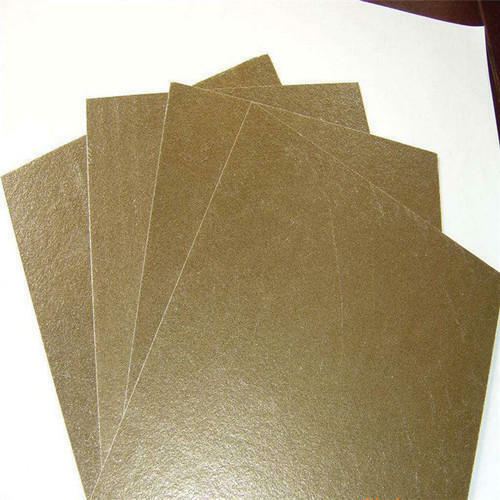 Our company is highly acclaimed in offering a wide range of Thin Mica Sheet. 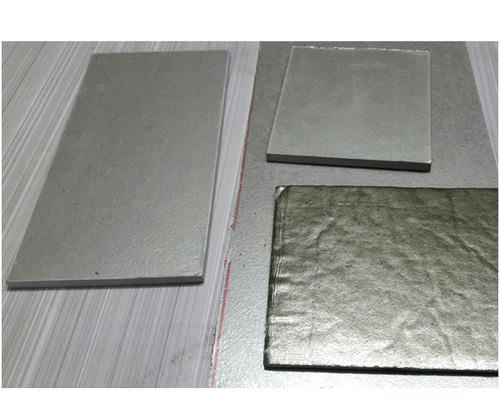 Thin Mica Sheet are made from Electrical Grade Green Mica sheet & are best electrical insulating material. This product is highly acknowledged for its high efficiency, easy installation & handling, long service life and easy maintenance. Mica sheet is a readily-processible form comprised of a high percentage of mineral held together with small amount of silicon binder. Its lamellar and non-fibrous structure, together with the low ratio of binder allows for a significant reduction of weight loss at elevated temperatures, and especially when compared to other high temperature compositions. It resists a wide array of chemicals and is unaffected by water, acids, bases, solvents and mineral oils. Mica sheet is used in automobile exhaust manifolds, gas turbines, gas and oil burners, heat exchangers and other bolted flanged connections. Lamons also utilizes mica in conjunction with oxidation resistant grade flexible graphite as a filler material for spiral wound gaskets, and as a facing material for kammprofiled gaskets (see Lamons High Temperature Gasket (HTG) configuration). While the HTG configuration is not quite as high in temperature rating as mica sheet, it offers the sealing ability for pressure rating found in a semi-metallic gasket design. Mica sheet is a readily-processible form comprised of a high percentage of mineral held together with small amount of silicon binder. Its lamellar and non-fibrous structure, together with the low ratio of binder allows for a significant reduction of weight loss at elevated temperatures, and especially when compared to other high temperature compositions. It resists a wide array of chemicals and is unaffected by water, acids, bases, solvents and mineral oils. Mica sheet is used in automobile exhaust manifolds, gas turbines, gas and oil burners, heat exchangers and other bolted flanged connections. Mica sheet is a readily-processible form comprised of a high percentage of mineral held together with small amount of silicon binder. Its lamellar and non-fibrous structure, together with the low ratio of binder allows for a significant reduction of weight loss at elevated temperatures, and especially when compared to other high temperature compositions. Our company is highly acclaimed in offering a wide range of Laminated Mica Sheet. These Laminated Mica Sheet are made from Electrical Grade Green Mica sheet & are best electrical insulating material. Our Laminated Mica Sheet are used in yoke/ shant assembly of Induction Furnace to support Induction coil. This product is highly acknowledged for its high efficiency, easy installation & handling, long service life and easy maintenance. We are leading manufacturer of Glass Mica Sheet. We are leading manufacturer and supplier of Flexible Mica Sheet which are used induction Furnaces. Has high mechanical strength and heat resistance and good electrical properties, can be use for a long time in 600 degrees. Naturally occurring substance, transparent or translucent, glass shiny and elastic. We are leading manufacturer of Silicon Mica Sheet. Usage: It can be used in fire-fighting dry powder, protecting layer of welding rods, conducting wires and electric cables. It can be taken as a filler, shelter, lubricating sub. Application For Yoke Ins. in Steel Shell Furnace. We are leading suppliers of Yoke Mica Sheet. 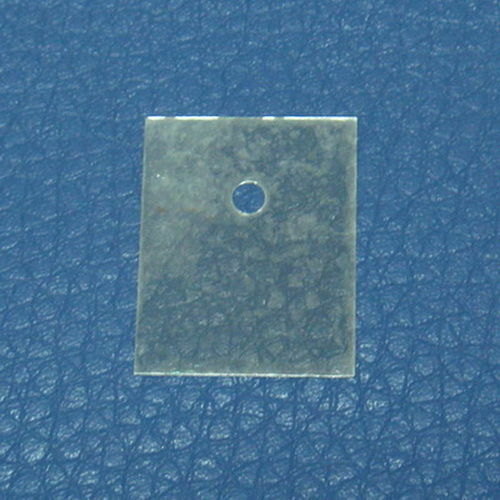 We are the leading organization offering higher quality Micanite Sheet that are used for heating element support. Also, this sheet is precisely checked on several quality parameters. Application For High Temp. Insulation. Size/Dimension 1MM X 1000MM X 10 MT. We are leading manufacturer of Ceramic Mica Sheet. Minimum Order Quantity 20 PER MT. Feature Thermal & Electrical Insulation. Mica Insulation Sheets is a cold forming insulation material made from High Temp & High Electrical Resistance materials. Coil guard is designed to fit between the water cooled coil & refractory lining of Induction Furnace. Thus coil guard enhances safety when coil repair is carried out & reduces the risk of penetration when crucible becomes worn or cracked. Thus it Becomes a integral part of resistance monitoring system. Highly innovative combination of coil protection & sliding properties. Coil is protected against aggressive gases. 1 Mt. Width x 25 Mt. to 100 Mt. Long. We are manufacturers of high-quality Mica Insulator. These can be disassembled for easy transportation. These can be easily installed and assembled. We are manufacturer of Half Round Mica Sheet and these mica are using in Induction furnaces Top and Bottom . These Half Round Mica Sheet are also known as part of induction furnaces.